The end of spring and the beginning of summer. My husband and I took a trip to NYC to celebrate his birthday. It was so nice to be back with our friends and family in the place we still call home. Generally weather in San Francisco is agreeable, but summer is just mean for anyone who likes to wear tank tops and drink margaritas outside at night. 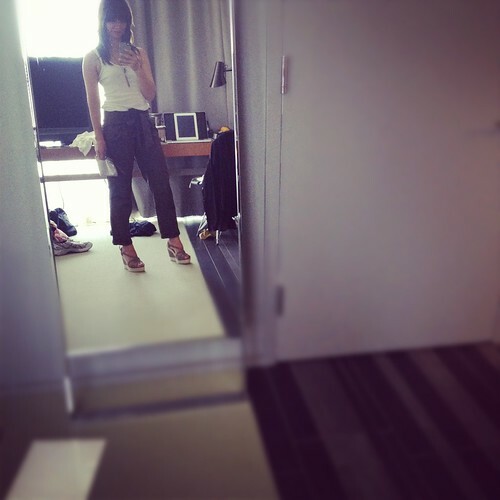 New York was a hot, sweaty mess and I completely enjoyed wearing a summer wardrobe for a few days. 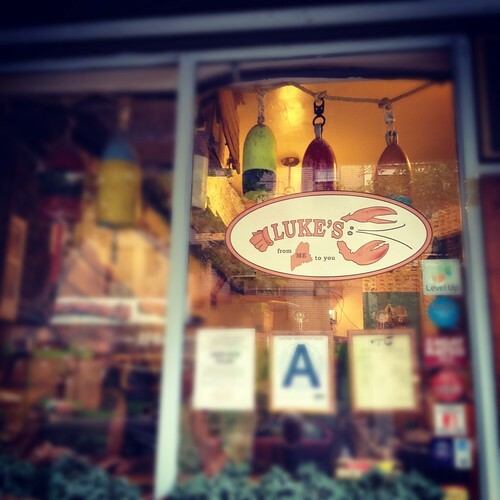 We always try to hit some of our old favorites when we come to town – Luke’s lobster rolls hit the spot perfect for a summer meal. Other must-have’s: Prune, Freeman’s, Schiller’s, The Breslin, Shake Shack, Two Little Red Hens Bakery, Minetta Tavern, The Lion, Rack & Soul, Daisy Mae’s, Momofuko Noodle Bar… we don’t always get to visit all of them but by golly, we sure get to many of these places each time we visit. 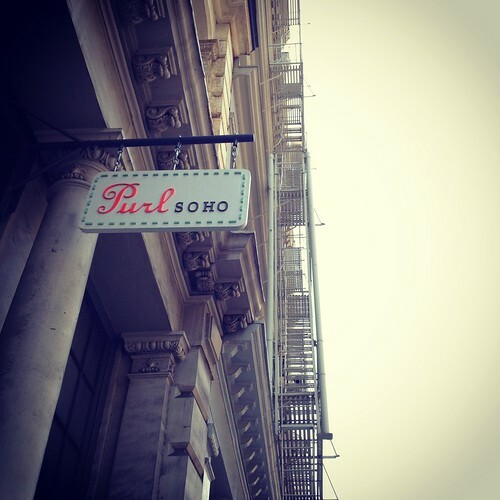 And of course, what visit wouldn’t be complete without visiting Purl SOHO? How I walked out with only one skein of yarn is still somewhat unbelievable. We also took a family vacation to Napa, unplugged, hung out by the pool and enjoyed some time off. Today is my first official day back in the loom room. Travel aside, I am really happy to be here and back to work. 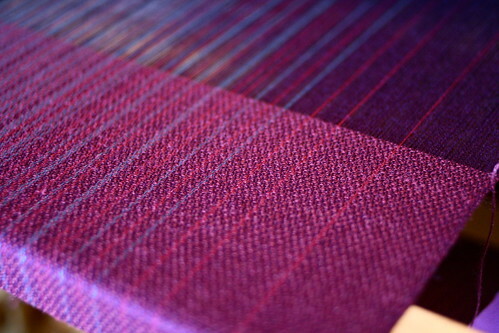 Here’s a sneak peek at what is growing on the loom. F/W 2011 will have 3 distinct colorways in limited edition. The next shop update will be mid-November. If you are not familiar with Donor’s Choose, I highly recommend checking out the site. Many of our country’s public school teachers are underfunded and supporting their classroom needs on their own. Thanks to Donor’s Choose, everyone can help out a classroom in need. The project close to my heart is Ms. Aquino’s 5th grade class. They were able to get the funds to purchase a table loom, but still need funds to get the necessary tools such as shuttles, hooks, etc. which will make the loom work. Please consider helping them out. Any amount will be helpful, and the done-good feeling will last you a long time! Please visit the project page here. 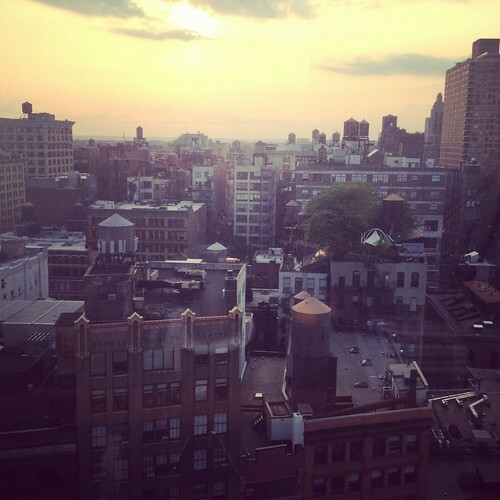 This past weekend I made a much needed getaway to NYC. I was homesick for my friends, summer weather and the go-go-go craziness that is my home city of the last 18 years. It was a fantastic weekend filled with friends and great food. 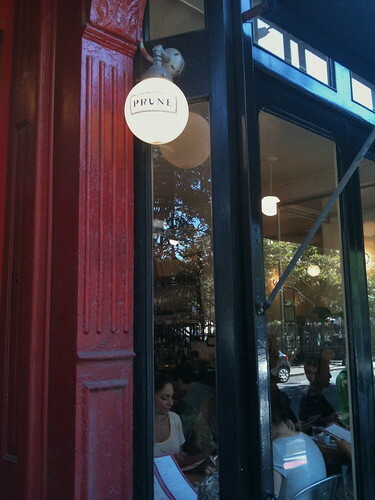 Stops included Freeman’s, Luke’s Lobster and one of my all time favorites for brunch, Prune. Despite arriving before they even opened, we had to wait an hour for a table. I’m happy to see that the restaurant is still that successful! The food was well worth the wait. Besides, the wait gave me a chance to snap a photo of my Fiji dress from Modaspia. It’s from her new travel collection and it did indeed travel well!